With only 28 schools of Veterinarian Medicine in the United States, interested students must be academically competitive and stand out among their peers. This week’s featured scholar, Ashley Wagner, is diligently completing her Veterinarian Medicine prerequisites at North Carolina State University. 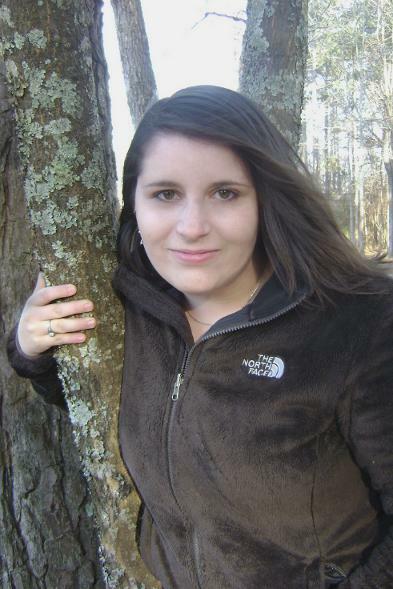 Carrying dual majors in Zoology and Philosophy, Ashley received a $3000 Col. Abraham M Ehrlich/ThanksUSA Scholarship for the 2009/2010 academic year. Ashley is so passionate about becoming a Veterinarian, that she maintains a very heavy academic load. On top of her 19 credit hours, Ashley also volunteers with many charitable organizations like the Museum of Natural Science and Operation Catnip, a feral cat management group. NCSU has a very highly ranked Veterinarian school that Ashley hopes to attend. If her current drive is any indication, she will surely become one of their high-ranking Veterinarian students in a few years. On behalf of the entire ThanksUSA team, keep up the great work, Ashley! 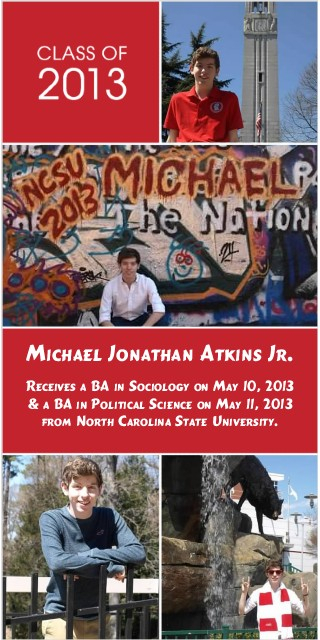 This week’s featured $3000 ESA/ThanksUSA Scholarship Recipient is North Carolina State University freshman, Michael Atkins, Jr. As a member of the prestigious Thomas Jefferson Scholars Program at NCSU, Michael is double majoring in Biological Sciences-Human Biology (pre-med) and Political Science-Law & Theory (pre-law). Michael plans to attend medical school and aspires to specialize in Pediatric Cardiology. Born with an Atrial Septal Defect (a hole in the heart), Michael has been followed by a cardiologist since he was just six weeks old and had open heart surgery at ten years old. “My experience with my ASD prompted me to study to become a Pediatric Cardiologist. I believe that with my experiences, I can not only treat patients, but also empathize with them and their families,” says Michael. Even with a demanding class schedule, Michael remains dedicated to many causes within his community including Habitat for Humanity, Stop the Hunger, Make A Difference Day, and Host Lions Club Broom Sale. He has collected unused, outdated, and/or unwanted prescription drugs for proper disposal. This prevents them from contaminating water systems and keeps them out of the hands of children. Michael was a member of the fund-raising committee for the “Drums” concert to raise money for the First People’s Heritage Center in Wayne County, NC, where he serves as a Youth Advisor to the Board of Directors for this American Indian Organization. I was most impressed to learn that in addition to all of these causes, Michael promotes his personal community service project, Warming Tree. 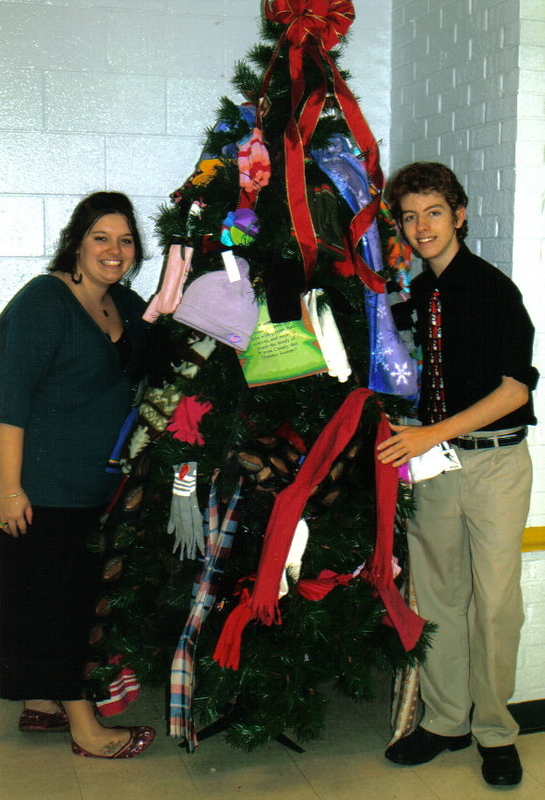 Now in its 5th year, Warming Tree collects cold weather items for those in need. He has successfully expanded this project to two neighboring counties. Recently, Michael has submitted the project to NCSU for consideration as a University wide project. Although his father is now retired from the United States Air Forces, the military community remains a very important part of Michael’s life. Since 2005, he has worked with Operation Military Kids by helping to educate the public about the challenges faced by military dependents. During his 24 years of service, Michael’s father completed numerous deployments and assignments including the Persian Gulf War, protection duty for President Clinton in England, and Operation Noble Eagle. Understanding the stresses of families dealing with deployment, Michael has spent time with the children of deployed military members so that parents could enjoy time with fellow spouses. Michael truly embodies ThanksUSA’s mission of “paying it forward.” Michael explains, “As I receive help along the way, it has always been important to me to give back to the communities in which I live. I would like to say thank you to everyone who contributed to the ThanksUSA Scholarship Program. I hope they will all feel that I am representing the scholarship recipients in a manner deserving of the scholarship funds.” With this humble, sincere attitude, I’m sure Michael will succeed in all of his endeavors. Not only will he make a competent physician, but he will also be a voice of reassurance and comfort for patients and their caregivers. Thank you for all that you do, Michael. The ThanksUSA team is honored to count you among our deserving Scholarship Recipients! I just heard from Michael that he has been appointed by Governor Perdue’s office to serve on the North Carolina Commission for Volunteerism and Community Service. 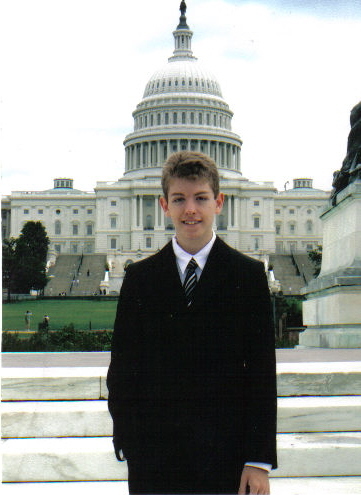 Having just turned 19 years old in December, Michael is the youngest person ever to serve on the commission. He looks forward to making a significant difference for the citizens of North Carolina during his three-year term. Congratulations again, Michael! We look forward to future updates on both your accomplishments and your outreach efforts.